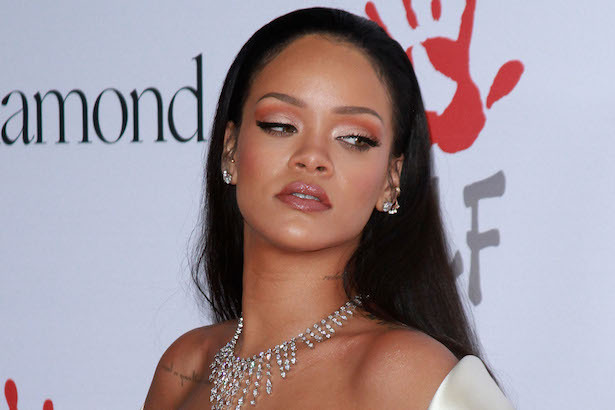 Rihanna dropped the first single from her highly teased new album, “ANTI”, overnight and dayum it’s a banger. Featuring famed cell phone user Drake, the tune is dubbed “Work” and has already slayed the charts immediately, making #1 on iTunes in less than 90 minutes. The track is also currently available to play for free via Tidal, the same streaming platform which appears to have also released BagGalRiRi’s entire eighth studio album by accident, if the below Twitter posts are anything to go by. The album is rumoured to be released sometime this week. We’re so happy we could almost forgive her for ditching last year’s Victoria’s Secret Fashion Show. UPDATE 28/01/16, 1.46pm: After the album briefly leaked on Tidal today, ANTI is here in full. The album, which features a cover of Tame Impala‘s “New Person, Same Old Mistakes”, is available on Tidal now.